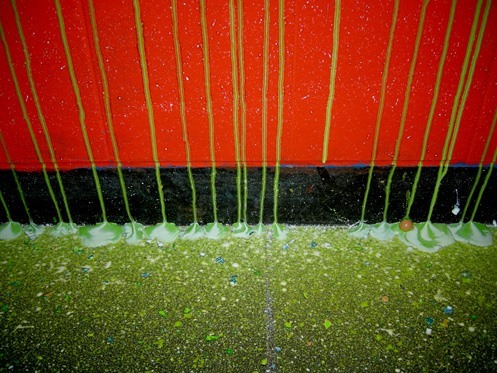 Very cool project by Benjamin Gaulon. 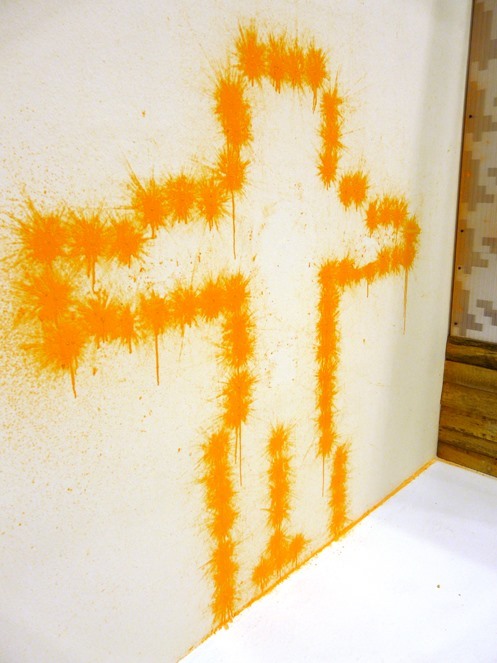 Gaulon has created a graffiti writing paintball robot, entitled PrintBall. 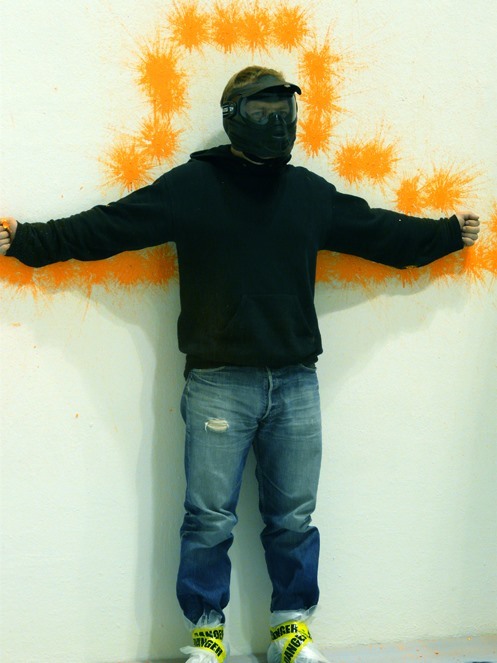 He uses technology from (previously posted) EyeWriter to tag with his eyes, plastering a wall with paintballs. 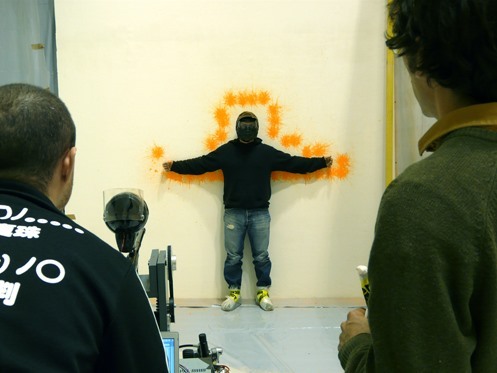 "The PrintBall is a graffiti Robot. 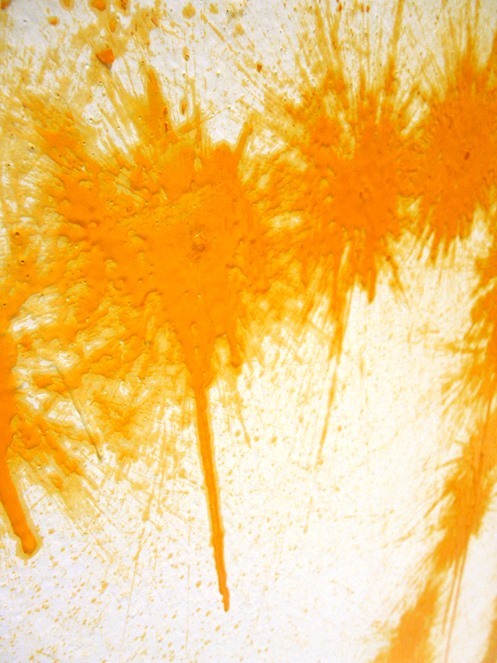 It works like a giant Ink-Jet printer using a PaintBall Gun as print-head. 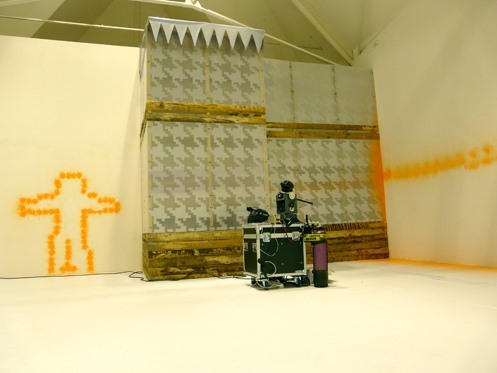 The PaintBall gun is mounted on a custom made pan & tilt unit, which is connected to a software programmed with Max/Msp: PrintWare 6.0 (G.M.L compatible). 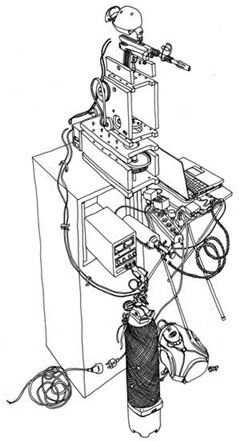 The pan & tilt is controlled by an Atmel chip [programmed in Basic] allowing the PrintWare 6.0 software to move the two stepper motors and to trigger the PaintBall Gun. The software allows the users to load, analyse and shot images. 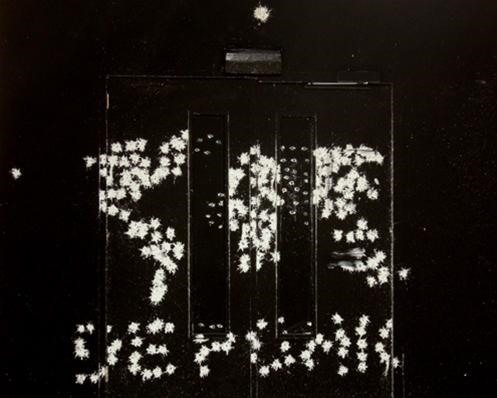 The resolution of the image can be adjusted according to the number of steps between each points. 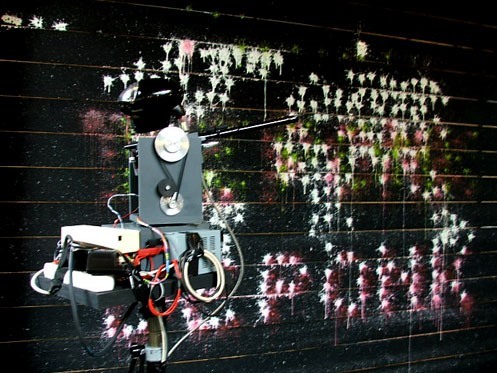 Using the Graffiti Markup Language (GML) the PrintBall, a Graffiti Robot made of a PaintBall Gun and a custom made Pan&Tilt Unit controlled by a Max/Msp based software, was able to shot a Graffiti created by TEMPT on the EyeWriter." Previously, DIY Ocular Assault Weapon.